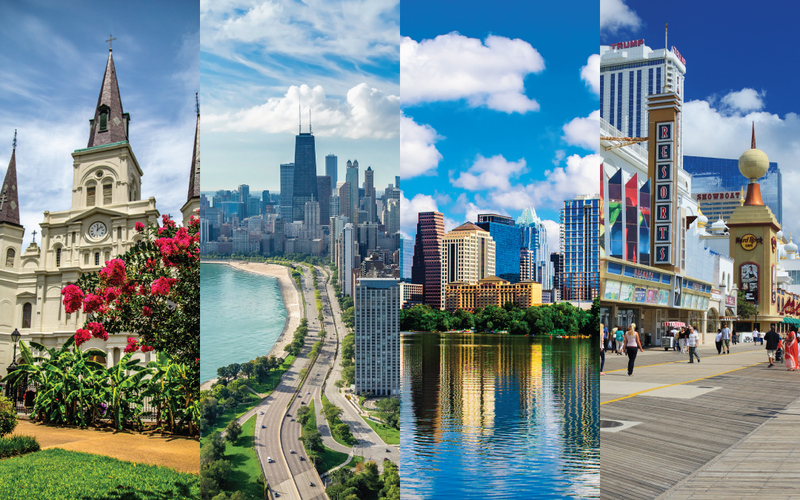 Each of ARTBA’s four annual regional meetings this fall includes an important new component: a professional development workshop that provides an interactive learning experience for long-time members and graduates of the Industry Leader Development Program (ILDP)—formerly known as the Young Executive Development Program. The workshops—along with the rest of the agenda—will help ILDP participants and other ARTBA members continue their growth and engagement in industry leadership and ARTBA’s advocacy core mission. Oct. 26-28, Southern Regional, New Orleans, La. : “Artificial Intelligence and Impact on the U.S. Construction Industry,” with Ross Smith of Skype, and Jeff Siegel of HNTB. Oct. 26-28, Western Regional, Austin, Texas: “Autonomous Vehicles and the Impact on Infrastructure,” with Dr. Christopher Poe of Texas Transportation Institute, and Dr. Chandra Bhat of the University of Texas at Austin. Nov. 2-4, Central Regional, Chicago, Ill.: “Millennials and the Future of the Transportation Design & Construction Workforce,” with Steve McGough of HCSS, and Tom Webb of HCSS. Nov. 2-4, Northeast Regional, Atlantic City, N.J.: “Innovative Technology for Transportation Projects,” with Mark Berry of Peckar & Abramson, Eric Rensel of Gannett Fleming, and Barry Owens of Caterpillar, Inc.
Each of the regional meetings also includes transportation construction market and project intelligence reports, and federal transportation policy, regulatory and safety updates. This year’s meetings, which come in the final weeks of the 2016 political campaign, also feature presidential and congressional election previews. For more information, please go to www.artbaregionalmeetings.org, or contact me aklein@artba.org.